Could drones revolutionise manufacturing supply chains within the next 5 to 10 years? The answer is a very real, YES. 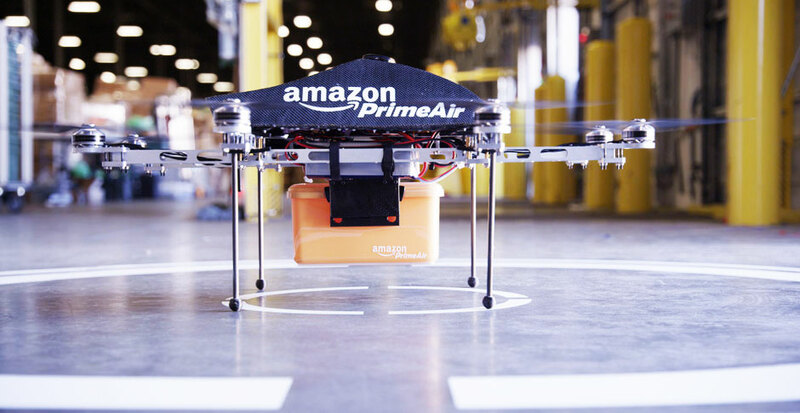 Amazon CEO Jeff Bezos predicted that automated, GPS-directed, delivery drones could be delivering goods weighing up to 2.5 kgs (over 80% of Amazon’s business) on doorsteps within 30 minutes of an online order. The devices are known as ‘Octocopters’ and have a 10-mile reach from one of the company’s delivery hubs. Bezos told CBS; “I know this looks like science fiction, but it’s not” he added that the Prime Air service could start within the next 5 years. Your evening meal ingredients fresh to the door. It seems pretty ambitious to make commercial drones part of our immediate future, yet leading edge firms are investing in research and development. Google are developing new robotics systems that will focus on “the under served manufacturing and logistics markets.” Andy Rubins (Project lead) told the New York Times; in recent months Google has snapped up seven robotics-linked technology companies. The company is not really saying much about its covert experimental work so far – but suggestions range from in-plant pick-up and collection systems, to drone-based bulk shipments between manufacturers and their key distribution centres. Despite all this innovative activity there are still a considerable number of constraints to be overcome before this drone-friendly revolution could get underway. However one of the blockers looks set to be removed as civilian air space is expected to be opened up to many kinds of drones by US authorities in 2015 and in Europe by 2016. Australia already allows the use of Unmanned Aerial Vehicle Systems for commercial applications.